We all are obsessed with slim body. However, being skinny doesn’t look good. You look weak and malnutrition. To remain healthy it is essential to have body weight proportionate to your height. The ideal body weight also depends on age and gender. Being called skinny can make you feel embarrassed as well. So if you are skinny don’t think twice, get ready to put on some weight and look good. Thinking how to do it? Don’t worry I am here with some effective home remedies to gain weight. 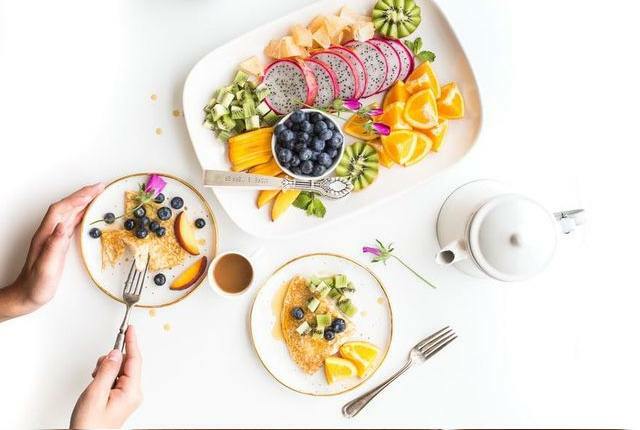 Healthy fats and oil is a great way of adding calories to your regular diet.Mix 1 tbsp of olive oil (120 calories) in your smoothies, oatmeal and other meals. 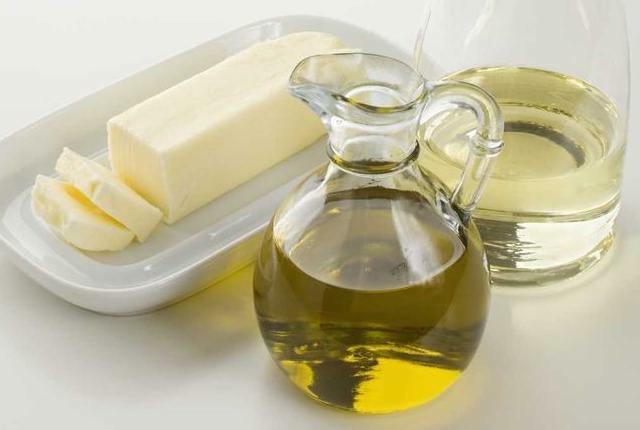 Butter is known to be a great way to gain weight. Take 1 Tbsp of butter and 1 Tbsp of sugar and mix well. Have it daily in empty stomach and notice the difference. Peanut butter is high in calories which are very helpful for gaining weight. Simply spread the peanut butter on your bread and have it everyday for breakfast. You will observe an amazing difference. Everybody likes eating cashews, peanuts, raisins, walnuts, almonds. 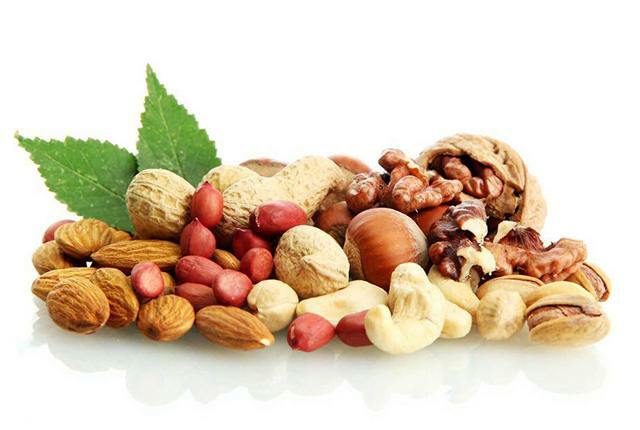 Nuts will definitely make you gain weight as they contain lots of fibers, fats, vitamins and essential oils. You can just eat a handful of crunchy nuts everyday. Alternatively, you can add 1 dry fig, 2 dates and 3 almonds in a glass of milk and drink it everyday. Continue this for one month and see the difference. 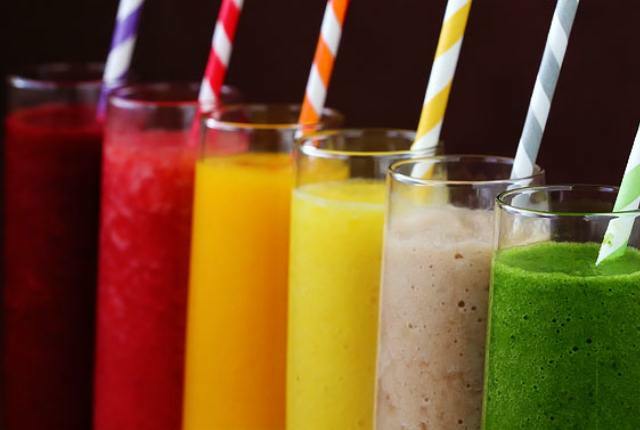 Drinking delicious smoothies and sweet beverages can definitely make you gain weight by adding calories in a healthy way. Make a delicious smoothie with any fruit of your choice, add frozen yogurt, ice cubes, and sugar and blend them well. For sweetened beverages go for sweet teas, different coffee drinks, energy drinks and fruit juices. You can also drink coconut milk daily. Exercise especially strength training can help you build muscle and gain weight. Exercise will boost your weight gain program. Exercising regularly can improve your metabolism and increases your appetite. it also stimulate your appetite. It lets you gain weight by building your muscles. Do weight lifting exercises everyday. Underweight people need to eat more frequently rather than having 2 to 3 meals a day. Eat at least 6 light meals daily. 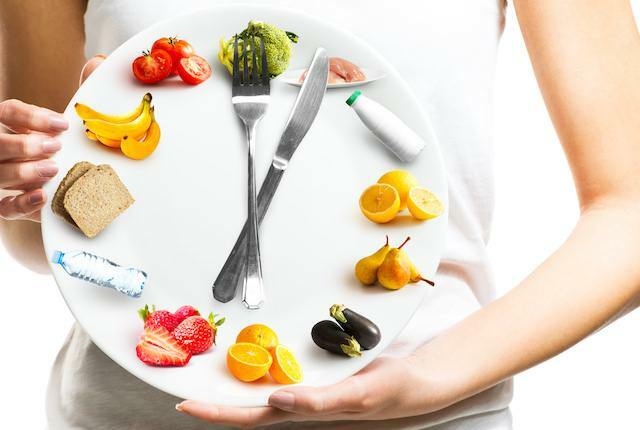 Avoid having heavy meals throughout the day. Fruits, vegetables, milk products, whole grain bread, protein based foods are rich in nutrients. 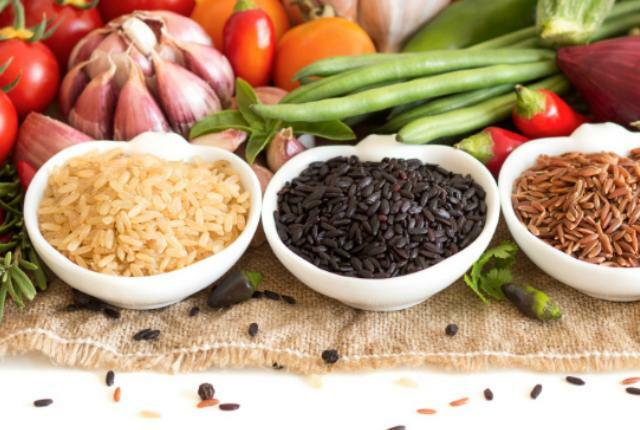 The food items work as a healthy diet for your weight gain program. 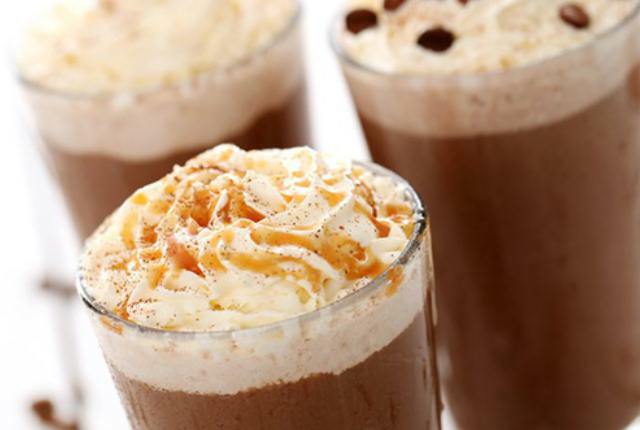 Try drinking your calories at snacks time. You can drink high-calorie fluids with your meals. It can definitely help you gain your weight. Avoid drinking fluids just before your meals as it may reduce your appetite. you need to be mindful of excess fat and sugar even if you are below weight. Most treats should be healthy. Yogurt, granola bars etc are some good choices. An occasional slice of pie is fine. 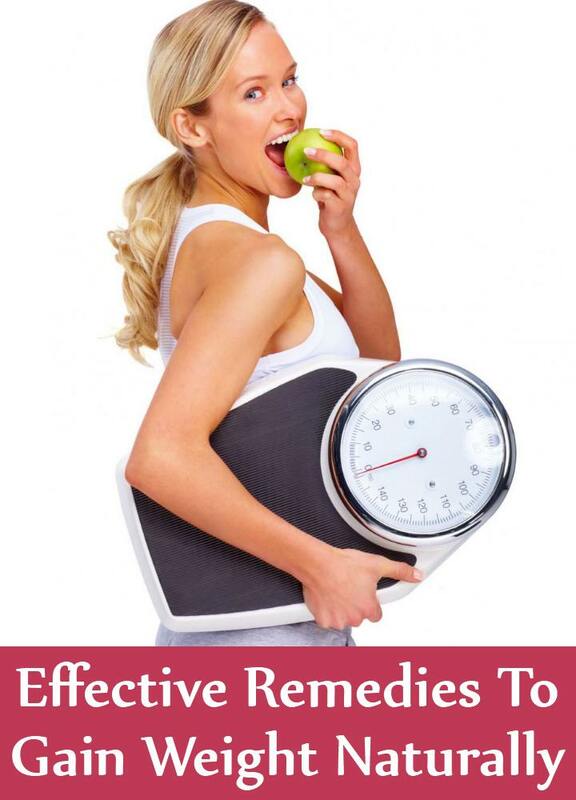 These are the few effective home remedies for gaining weight. Instead of taking medication and supplements you can choose the above-discussed methods to gain some weight. Always keep few things in mind before starting the weight gain process, drink adequate water (8 to 10 glasses daily), quit smoking, consume natural oil and fat based food, and do not overeat at once.